Chef and owner Dave Swanson behind the bar at Braise Restaurant. Chef Dave Swanson speaking with Lake Effect contributor Maayan Silver. He is the owner of Braise Restaurant in Milwaukee, and in 2008, he put together the country’s first RSA, or Restaurant Supported Agriculture. It’s like a CSA, or Community Supported Agriculture, where farmers deliver a package of fresh produce to individuals. Except in the RSA, restaurants, food trucks, caterers and cafes order produce from farmers, who deliver to a hub in the city. "I just didn't want to bring a red wagon to the marketplace and fill a couple things up and bring it back to the restaurant. I wanted to source on a different level." According to Swanson, the program helps with communication. “There’s farmer-speak and there’s chef-speak. I look at what the RSA does as a translator." He adds that there are also economic incentives. “It’s what’s needed not only for the food scene, but also for the agricultural scene, to make sure that the more farmers are supplying to more restaurants." 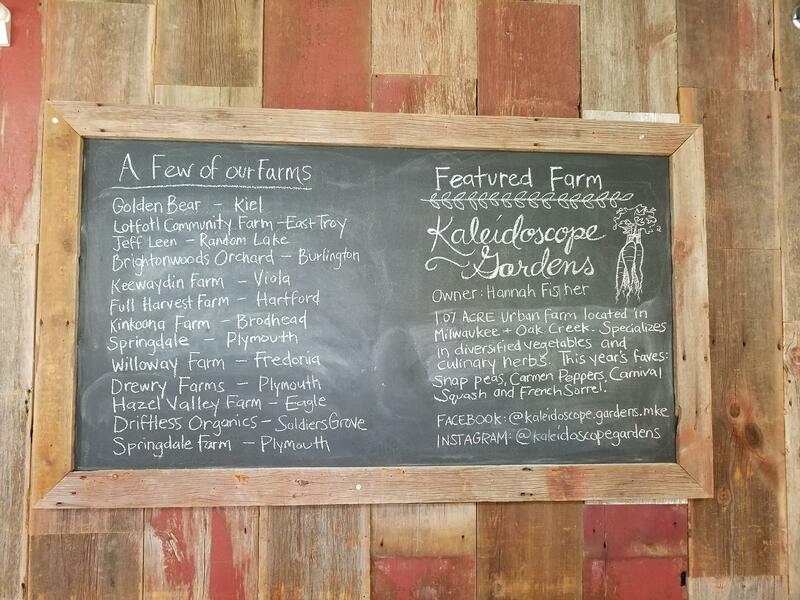 A chalkboard at Braise Restaurant lists farm sourced products. Currently, the program is leasing space from Feeding America, where the RSA receives its deliveries and has access to Feeding America’s infrastructure of trucks and reception areas. Help us shape our Full Plate series, what questions do you have about food and its production?